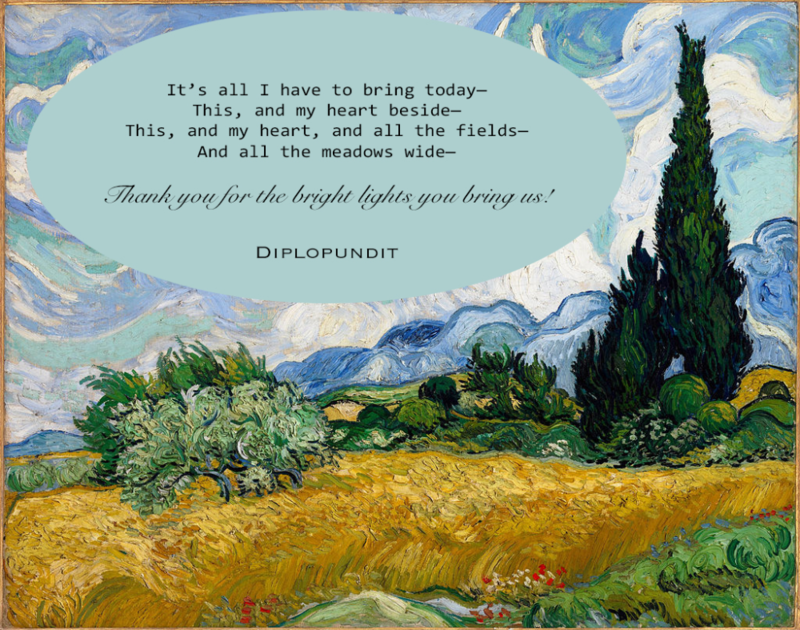 As many of you know, Diplopundit’s funding ended in March. 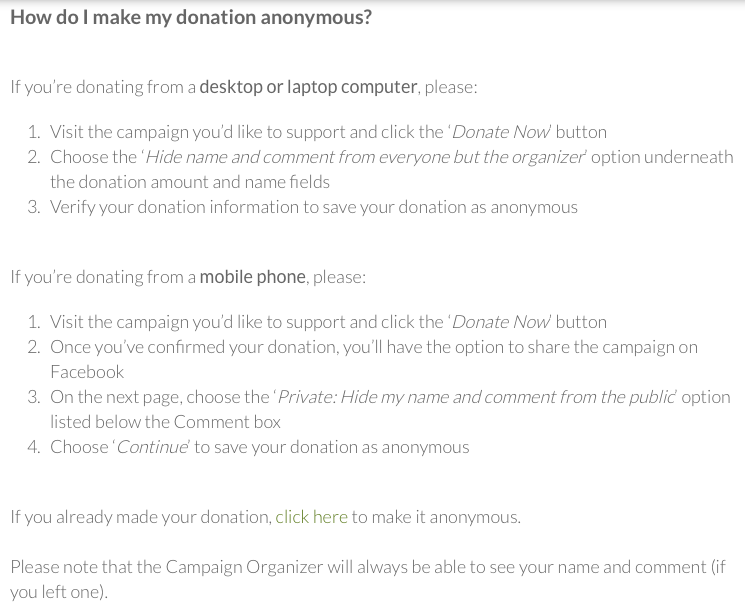 I’ve made an attempt to find funding for the blog from private sources. Diplopundit could get a $15K grant from a generous family foundation supporting the Foreign Service, and there is a potential for another grant from a separate entity; however, the grants would be available only if the blog has 501(c)(3) charitable status under the Internal Revenue Service. I've determined, with help from my legal pal, that the charitable status would not be compatible with the pseudonymous persona of this blog. Maybe at some point I will hand this blog over to a foundation to run, but I’m not there yet. Another option, of course, is to go subscription only or have a blended open/subscription model via Patreon , but I’ve been hesitant to do that for two reasons. One, the niche audience for the things this blog covers is exceptionally small. We want to expand that audience to include readers with no connection to the State Department or the Foreign Service, and especially those who flip through the international affairs news. Two, for a more personal reason, I do not want to break up the blog’s archive. I’m a tad attached to it. In the first four months of 2017, the blog already reached three fourths of its total 2016 visits, and our visitors are already at par with last year's number. We did get a one time spike in visitors in February when Ricky Martin tweeted a link to our 2010 post about a Puerto Rican detained by DHS (see US Citizen born in Puerto Rico detained as illegal immigrant, what was DHS/ICE thinking? ). We're not going to have a celebrity tweet one of our posts every month, but traffic still appears to be up in the last couple of months. It remains to be seen if this trend holds for the rest of the year. One reader asked "Don’t the ads on the page pay for the blog?" For those curious, we generate a small revenue from Wordpress' WordAds and the Amazon Affiliate program. We have a few readers who shop at Amazon using our affiliate shop , and we appreciate their support. In 2016, we made $132.27 in affiliate fees for the year. Based on our traffic, the WordAds payment range from $35.64 to $119.82 per month. In 2016, we earned an average of $74.60 per month from the ads you see in the blog. So, the ads help, but they are extremely limited revenue sources. We first attempted to raise funds for the blog in 2014. In 2015, "OneFSO" and "S" successfully raised funds for us from 368 donors. Last year, with "S" and company's help, we were able to raised $35K from 444 donations. After we deducted GFM fees and blog expenses in 2016, the blog's net income last year (including ads) was $26K or about $500/week. Fortunately, your blogger has her/his own bed, but if she/he were required to rent a place to live, she/he might be able to afford a room, but not much of anything else. We've dived into the weeds of the blog's financial situation to explain our persistent dilemma of trying to balance work that we enjoy doing (writing this blog) with our need to earn a livable income . Can we afford to keep the blog running this year? How about next year? When will necessity force us to ... well, jump? Those questions generates anxiety for your blogger for weeks at a time every year. We sincerely thank you for your patience and understanding. We’re officially nine going on ten, but who drank all the wine? Diplo-Denizen: Are You Kidding Me? The Wheat Field With Cypresses is Van Gogh’s (the Google Art Project is amazing, check it out!). The snippet is the first four lines of Emily Dickenson's "It’s all I have to bring today", a poem of grace and devotion. Some of you have been with us for years, some of you are new, and some are here because a few have nudged you to support our efforts. We read all your notes and we are touched. Thank you for thinking of us, and for your enduring support. We previously announced that we will be here for another year (there's a funny story about that). We are grateful that you still came out to help make our life a little easier. Thank you for the bright lights you bring! The news can be overwhelming these days. We know some friends who are struggling with life, work and the daily nutty stuff. We share the same struggle, and while some days are more difficult than others, just the constant beat with no let up can be draining and seriously depressing. If folks need help, please don’t self-medicate. See somebody and get help. Even your blogger may need to occasionally see a therapist. By the way, screaming at the teevee is only helpful for no more than 20 minutes. Tried and tested, trust us on that one. We’ve also spent many nights with 3-hour sleep (if we’re lucky). Not just because there are too many things going on at the same time, but also because we have been unable to switched off at times. We had to take a short break earlier this year not only because we were feeling the blues but we also gained those infamous “T10” pounds! The blog will continue to have regular updates four days a week (Monday, Tuesday, Thursday, Friday), and occasionally on weekends, when needed. We will set aside Wednesdays for some levity. Folks, we’re rolling out tadaaaa …. Also a quick update on the fundraising — we’re doing a regular fundraising and not an “all or nothing” campaign as we did in the past. The campaign will stay on for as long as we leave it on, though we’ve made a self-imposed 2-month duration so we don’t have to worry about it for the rest of the year. We are at the half-way mark, and it appears that the campaign has quietly stalled. If we can get to our funding goal in July, that would be awesome. If not, arghh … we’ll have the rest of the year to try and get there. To those who already pitched in to keep us going for another year, thank you. We are grateful for your steadfast support! Most of you know that we are not on Facebook, so to blog pals, and readers who patronize the blog, we 'd appreciate your help in spreading our fundraising campaign through your networks. Thanks for the coverage of the shutdown.